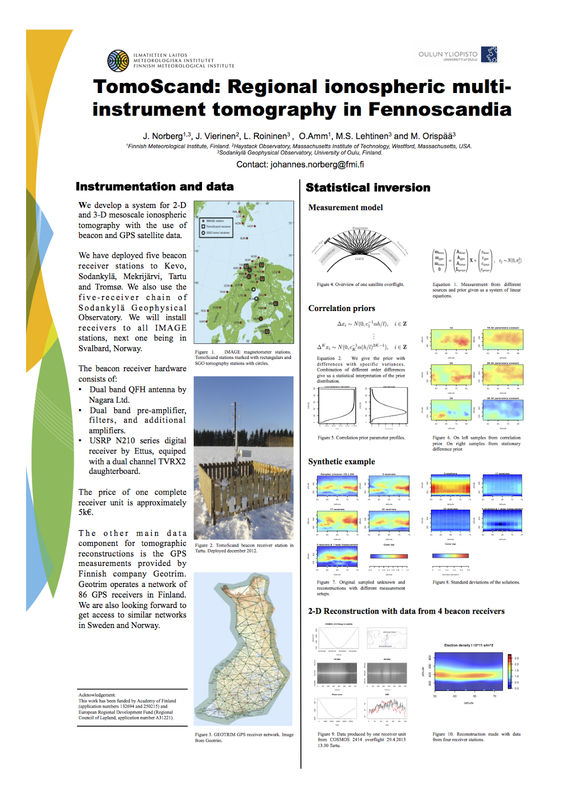 Finnish Meteorological Institute in collaboration with Sodankylä Geophysical Observatory (and especially Kaira team) are developing a 3D ionospheric tomography instrument. The project is called TomoScand. Below is a poster presenting several TomoScand project deliverables. 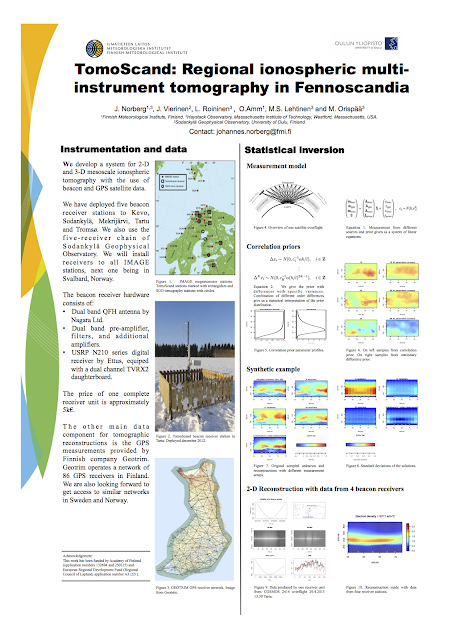 The poster was presented in the 2013 Beacon Satellite Symposium (Bath, UK, 8-12 July 2013).